I won the first turn and advanced and got the Bell swinging, hoping for a solid second ring. 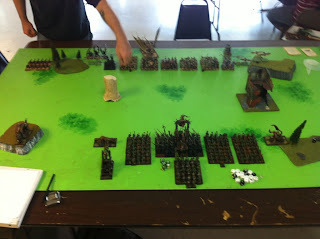 My opponent maneuvered his units, blocking up and trying to get around terrain in the board, but left Khemler's unit with JUST enough room for the full Screaming Bell horde to charge in to the master necromancer. Second turn, the bell unit charged in and popped the 30 or so Skeletons through deaths and then combat resolution, and took the General with them. No buffs, and no Bell ringing to help, the Storm Vermin (half of them, really) did the work themselves. 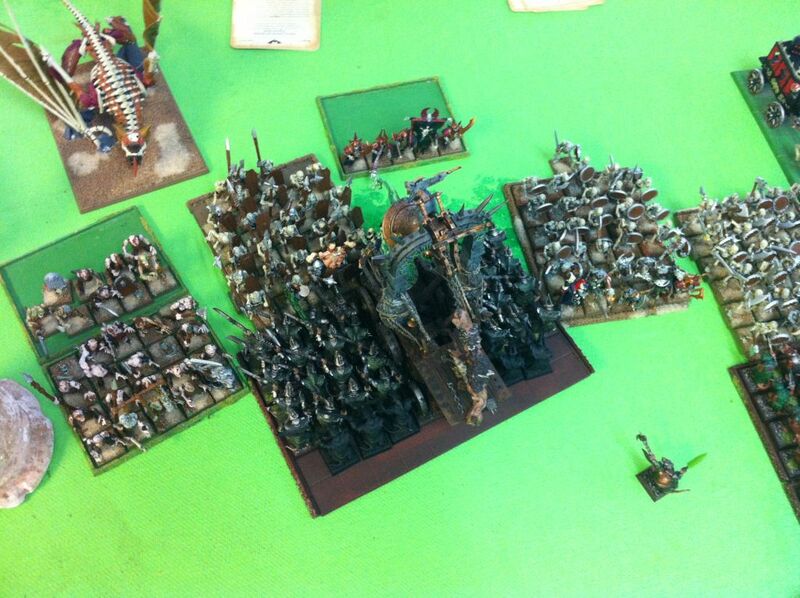 I 13th'd the Grave Guard on the first turn, which was more or less why Heinrich's unit moved forward. They were hiding in the back with a rank or so left over to try and raise up later. This was the key reason the unit moved up and was able to be charged. Still, I would have liked a more prolonged game with the Bell, and to test it out vs other match ups (especially war machines) before I ultimately decide to take it to Screw City GT.